Ali and Lane tied the not on October 20th of this year. 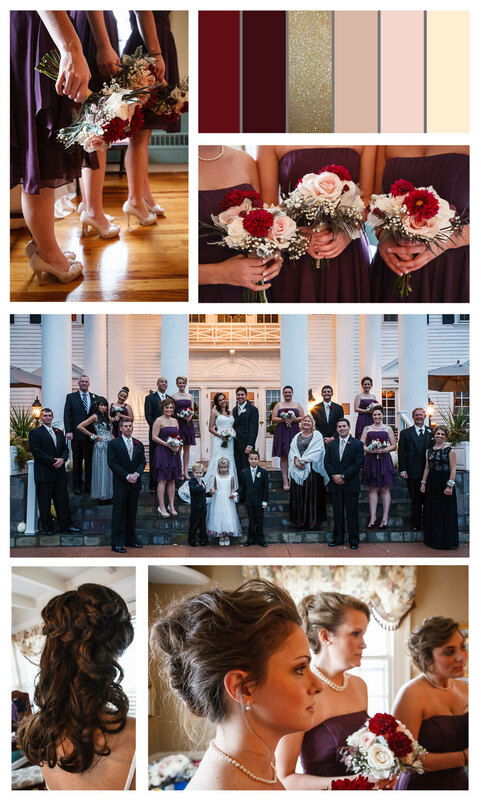 It was a privilege for me to do this wedding because it was my sister's step-daughter. I always love a family affair and this was no exception. Ali has such a sweet and tender spirit and I loved being a small piece of her and Lane's day. It was a fun and busy day! I did 8 Updos and 6 makeup applications solo in five hours. It's not something I typically will do but it was made possible by Ali and I coming up with a hair/makeup concept for everyone ahead of time, based on her style and theme. Everyone was so awesome so it made it a breeze. Plus, I had Ali's awesome "go-to" aunt keeping my brushes clean. 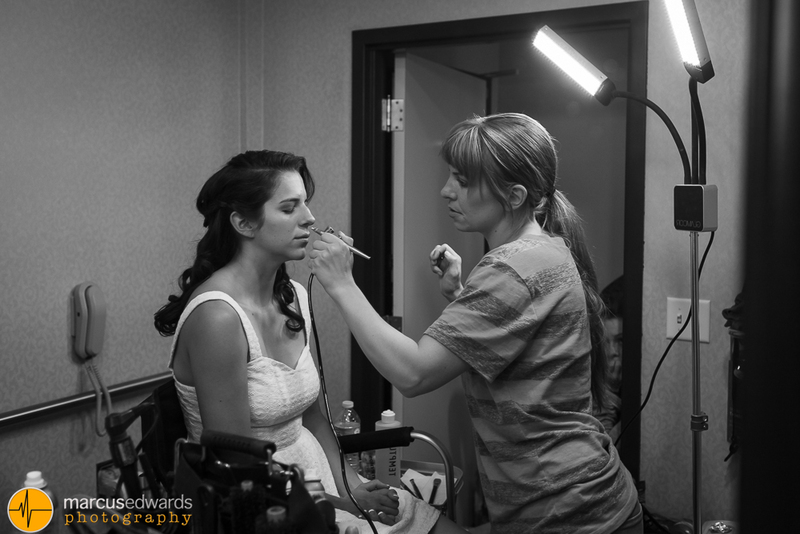 After Ali and her wedding party were out the door to the venue, I followed along to provide them with touch-ups after they got dressed and throughout all the pictures before and after the ceremony. My talented husband Marcus Edwards shot the wedding so I played the role of his second shooter, which is always fun! And just for kicks, here are some highlights of the reception. My brother-in-law is one of the most photogenic people I know. I love this picture of him and my sister gettin' down. This Emcee/Entertainer/DJ was incredible! We all had a great time as you can see. Congratulations Ali and Lane! I wish you a lifetime of happiness and adventures!